One of my favorite places to purchase magazine subscriptions is through Discount Mags. There is no auto-renewal, and often times their prices can’t be beat! 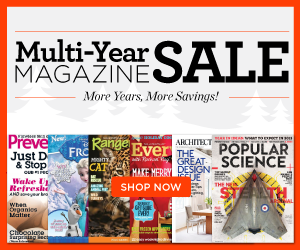 Check out this list of multi-year magazine subscription deals – going on now through TONIGHT (Sunday, 1/25/15) at 11:59 PM EST.